Exclusively brought to you by Valley Sweets, a charming presentation of the nations&apos; favourite sweets. From cola bottles to jelly beans, this is a gift sure to be adored by both old and young. 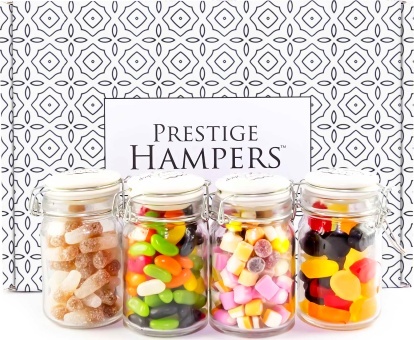 Included are 4 luxury kilner style jars filled to the brim with traditional sweets to make a perfect Birthday gift.